Created, designed, and built by Nikolai Zykov in 1989. Materials: papier-mache, foam plastic, foam rubber, wood, metal wire, fabric, threads, foil. First presentation - November 22, 1989. 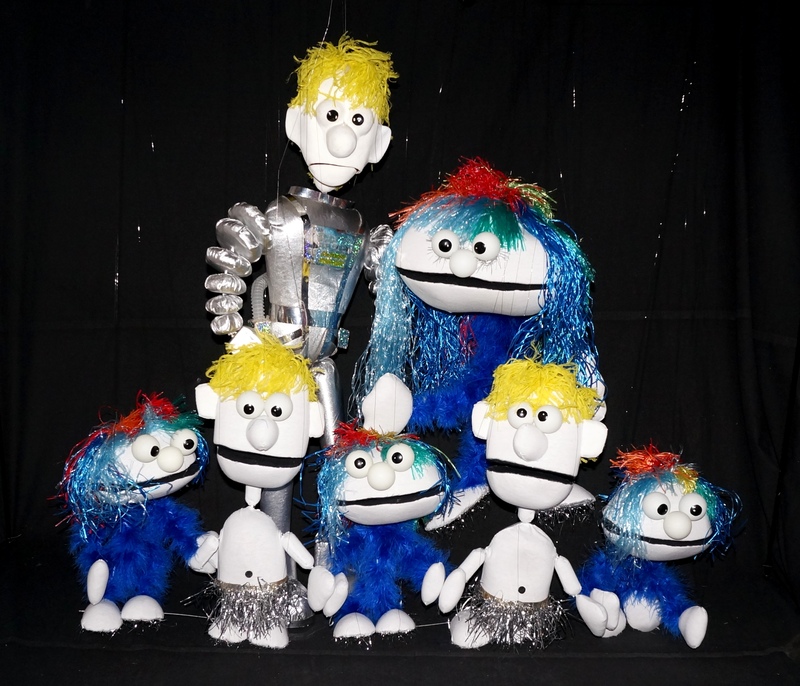 LITTLE SPACE TRAVEL - 7 string marionettes which are controlled by one puppeteer separately, as well as 2, 5 and 7 marionettes simultaneously. LITTLE SPACE TRAVEL - the love story between a Spaceman and an Alien on a far planet. See PHOTO ALBUM of LITTLE SPACE TRAVEL. Little Space Travel in TV show, Moscow, Russia, 1995.